Sometimes you see a WhatsApp message has been read, but the person’s last seen occurred before reading it. Let’s see why this happens. Here we look at a particular case involving WhatsApp messages, double ticks and the last seen time. I’m writing this article to answer the many emails I’ve received recently from readers. The question is: how is it that in a contact chat’s screen I see the blue ticks but the last seen is earlier? Why don’t the double ticks coincide with the last seen on WhatsApp? This may seem strange, but there is an explanation. In fact, we would expect the last seen to coincide with the time when the message was read, and therefore with double blue ticks that appear below the text of the message. This is true for the majority of cases, but there are exceptions. Why do I see the blue ticks, but the last seen is dated earlier? There is a logical explanation for this case. The last seen time indicates the time when the person was on WhatsApp with an active data connection (or Wi-Fi). The double blue ticks indicate the time when the message was read by the recipient, whether it was online or offline. Suppose we send a message that is properly delivered. The person who receives it, before opening it, disables their data connection. Then they open WhatsApp and read the message. Finally, they exit WhatsApp and reactivate the data connection. This procedure, when used voluntarily, is one of the tricks to be invisible on WhatsApp. The contact disables the connection and reads the message. Sometimes, however, it can also happen that there is no network signal. Either way, if you look at the last access time, it will correspond with the last time the contact opened WhatsApp before turning off their data connection. But the message will have the double blue ticks for when it was actually read, even if the person was not online. Here we clarified the mystery: the last seen and read receipt (blue ticks) are two separate things and are not always interconnected. There are also two other cases (less rare) of a disagreement between last seen and blue ticks. The first is the time zone set on your phone. If you use WhatsApp on a phone with a different time zone from that of the recipient, it may happen that the last seen time is before the double ticks. Or, the cause of the discrepancy may be due to an application error. 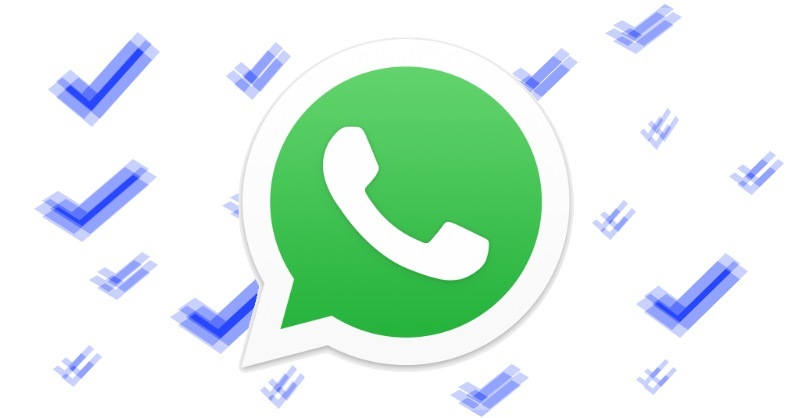 A good precaution is to upgrade WhatsApp regularly to facilitate the correction of any errors. If it does not happen often, the reason could be that. Just wait, and everything will return to normal. Can a message be showing as being read but the other person say they haven’t received it ?